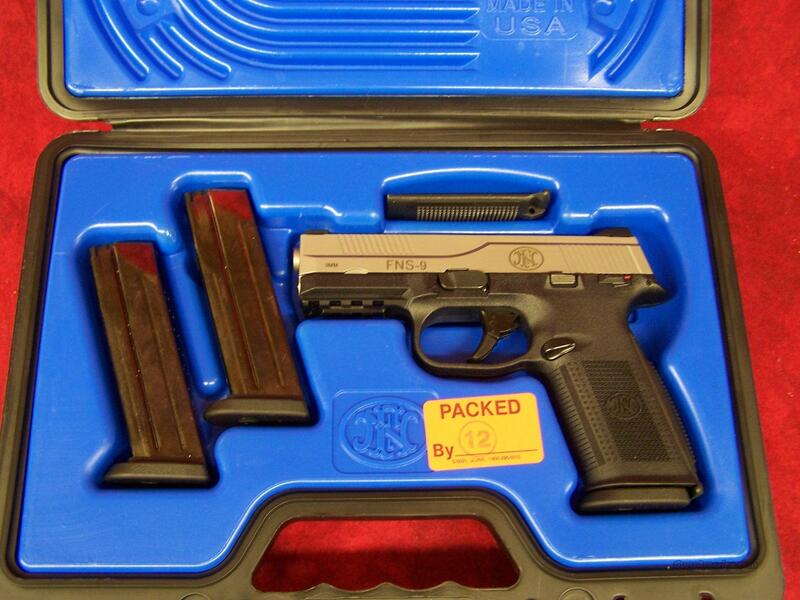 This pistol is brand new in the hard case with 3 mags. The FNS™-9 offers the simplicity of double-action striker-fired operation with the additional security of a manual safety. The manual safety lever, slide stop lever and magazine release are all fully ambidextrous for ease of operation wtih either hand from any firing position. Both the slide and barrel are stainless steel and the checkered polymer frame has two interchangeable backstrps with lanyard eyelets. A MIL-STD 1913 mounting rail on the underside accepts tactical lights and lasers.